Jewelry is becoming “smart” and makes you forget what you already knew! Lock and unlock your smartphone or tablet, transfer your data and share information and links with a touch! Touch the ring on the NFC area of your mobile or tablet to lock and unlock your screen, launch or transfer your applications to the background. The operation of “smart” rings is based on the built-in sensitive Near Field Communication chip, which does not require charging and power to operate while it remains completely waterproof! (Caution: The device must be NFC-Near-Field Communication). Life should be full of creation and passion, and thus doing wonders. This brilliant NFC Smart Ring might help. It has 8 intelligent technologies: Program lock, automatic running, business card share, link share, whisper, net file share, intelligent door lock, start hide. Every function just needs a simple finger approach. You can use your NFC Ring to share WiFi information, links to websites, contact information or whatever you think is suitable to be passed securely to your friends, smartphones and tablets. Your NFC Ring can also be used to start apps with custom settings (parameters), making it a really easy way to personalize the app experience to match your ring. 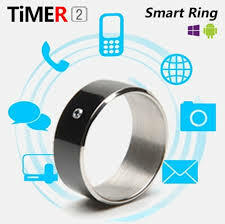 Note: The Smart Ring is compatible with Android, IOS or Windows smartphones which have NFC function. €8.93 Tax exc. €6.70 Tax exc. 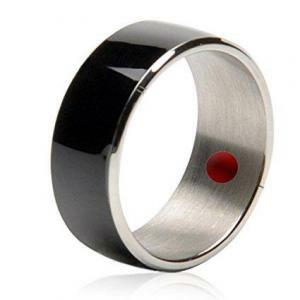 The intelligent magic ring is a wearable electronic component that connects via the mobile function and shares the data by NFC wireless frequency communication technology. It has 6 functions of advanced design: APP lock, APP hide, share business card, share internet link, share texting and share online file. The product shape is designed according to the international popular elements, created by the pure medical titanium, with no need for any external power energy. 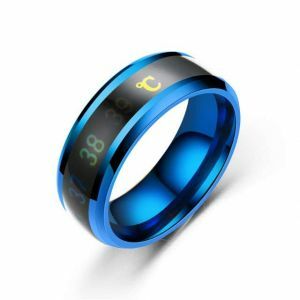 High waterproof ring suitable for everyone! €12.64 Tax exc. €9.48 Tax exc. 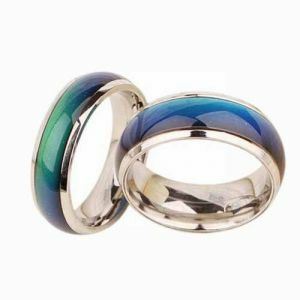 Get this beautiful stainless steel ring that checks by the temperature of your finger your feelings and your emotions. Now you can check your mood, stress levels and use it as a guide to calm your emotions and reduce stress levels. 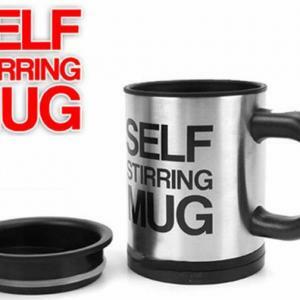 Great fun anywhere you use this ring! €4.75 Tax exc. €3.56 Tax exc. Jackom R3 Smart Ring with 8 intelligent technologies: Program lock, automatic running, business card share, link share, whisper, net file share, intelligent door lock, start hide. Every function just needs a simple finger approach. You can use your NFC Ring to share WiFi information, links to websites, contact information or whatever you think is suitable to be passed securely to your friends, smartphones and tablets. Your NFC Ring can also be used to start apps with custom settings (parameters), making it a really easy way to personalize the app experience to match your ring. Note: The Smart Ring is compatible with Android, IOS or Windows smartphones which have NFC function. €11.59 Tax exc. €8.69 Tax exc. €13.57 Tax exc. €10.18 Tax exc. 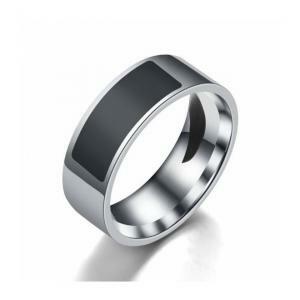 Get this beautiful stainless steel ring that checks the temperature of your hand. 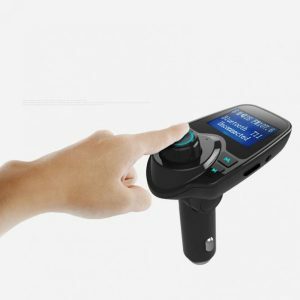 It can detect the heating and cooling of your hand and also the changes in the temperature of the environment. 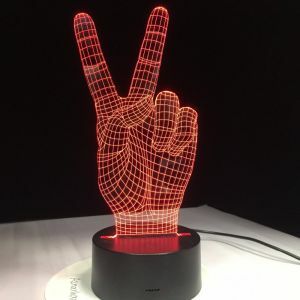 The temperature is displayed when your hand temperature reaches a certain amount (when the temperature is not displayed, you can use the other hand for a while). 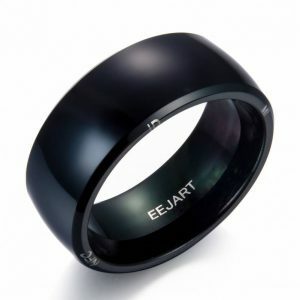 It is worn on the finger for 20-30 seconds, and different black numbers can appear in the middle part of the ring. It is made of titanium steel, which is not easy to be deformed, not easy to rust, smooth and shiny, and comfortable to wear. It has ergonomic design, rounded inner arc and it is comfortable to wear and difficult to scratch. Great fun anywhere you use this ring! €7.50 Tax exc. €5.63 Tax exc. 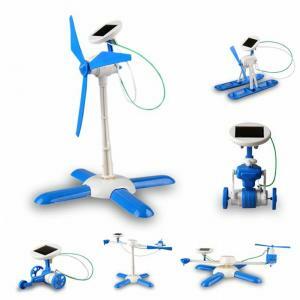 6 In 1 Educational Solar Power Energy Robot Kit €8.48 Tax exc. €6.36 Tax exc. 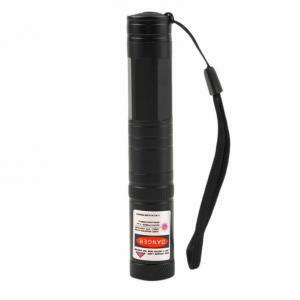 650NM Wave Length Laser Pointer Pen €5.85 Tax exc. €4.39 Tax exc. 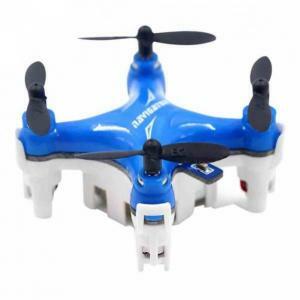 Fayee FY804 Mini RC Quadcopter with 6 Axis Gyro and Led Light €21.68 Tax exc. €16.26 Tax exc.